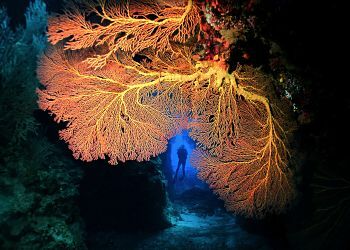 Where in the world would you like to dive ? 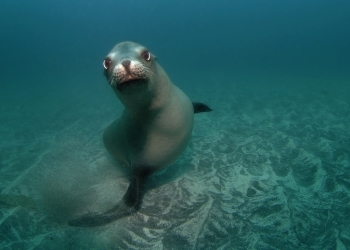 Join the select few who dive with penquins & leopard seals ... perhaps humpbacks, orcas, minkes or belugas. 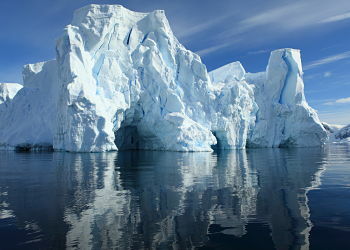 Arctic & Antarctic diving: a new frontier. A world of incomparable beauty. A vast expanse of scuba diving sites. Everything from tame to treacherous. 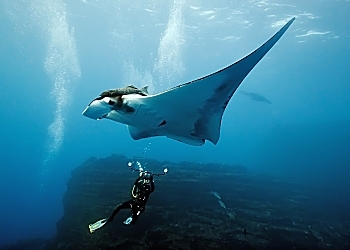 The experienced diver can find walls, channels, drift dives, big fish & pelagics in awesome variety. On the wild side, get your blood pumping at Bimini with Great Hammerheads & Bull Sharks. 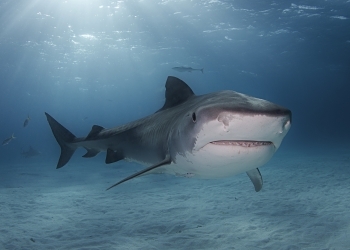 At Tiger Beach, immense Tiger Sharks & Lemon Sharks. The flip side? Bahamas dolphin trips. Pure joy. Not only warm weather, rainbow corals, white-sand beaches, plentiful reef fish & corals ... but also energizing visits with sailfish or whale sharks of Isla Mujeres and the Cenotes of the Yucatan. High-voltage, adrenaline-pumping action with thousands of the biggest, most sensational animals in the oceans. Welcome to Cocos Island . . . the Jurassic Park of Diving. Not for the faint of heart. 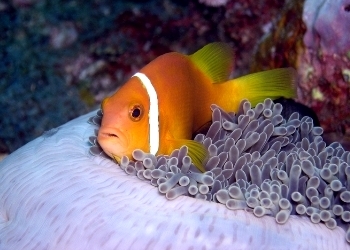 Renowned for the warmth of her people, Fiji is also known to divers as the Soft Coral Capital of the world ... but she delights equally with her incredible critters & the excitement of big animals. A venue for romance? Yes. But, also high-class adventure. 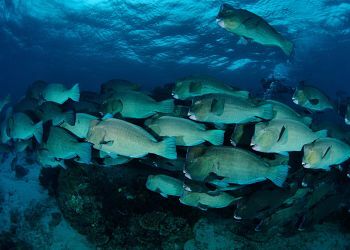 Raging currents, thrilling channels, swimming elbow-to-elbow with sharks & huge schools of fish - daily fare for diving in Polynesia. Play with Penguins. Frolic with Sea Lions. 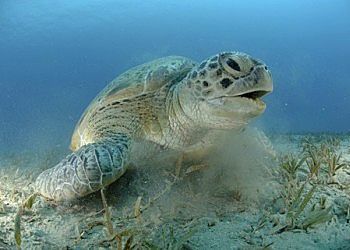 Swim with Turtles. Compare your diving skills to those of the giant, gentle Whale Sharks. 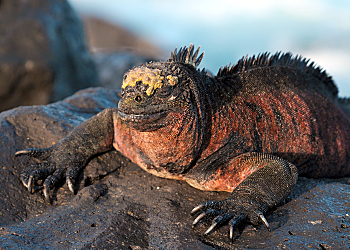 Galapagos never loses its allure. Experience the magic. Unparalled bio-diversity. A macro-photographer's ultimate fantasy. 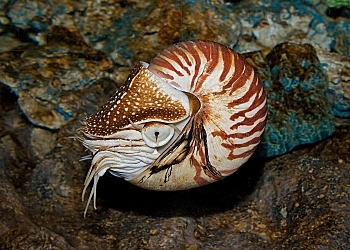 Critters that defy the human imagination. 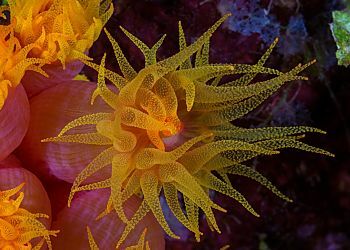 Corals in every hue of the rainbow. Mantas & whale sharks, too. That's Indonesia. Borneo. The name conjures up wild jungles & astonishing wildlife. 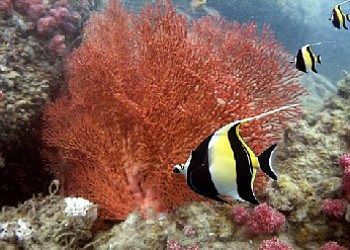 Sipadan Island is legendary for its world class diving & Mabul, Kapalai & Layang-Layang add their own unique flavors. Volumes of sharks & rays, whale sharks & mantas. Schools of tuna, jacks, wrasse & snappers. 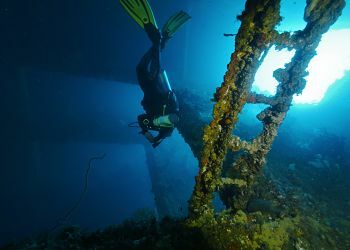 Soft & hard corals, colorful reef fish & shipwrecks to boot! The Maldives never fail to enchant. Wild, spectacular, intoxicating. That's Malpelo. Renowned for its abundance of schooling sharks and pelagic encounters, this is a "must do" destination for every adventurous diver out there. 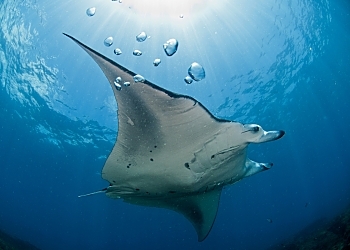 Manta rays, whale sharks, dolphins, abundant reef fish life, multiple macro critters, Mola Mola, Mobulas, sharks and beautiful coral reef diving. Plus a group of resident humpback whales. Big Animal action in Palau. 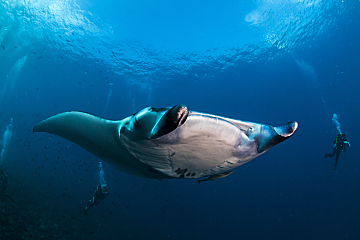 Mantas and Critters in Yap. 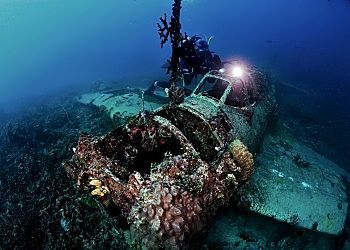 The Ultimate Wreck Diving at Truk Lagoon. 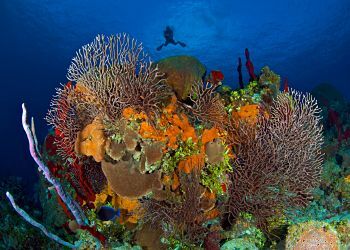 Micronesia always ranks high on a serious diver's list of the world's top destinations. Macro minutia to pelagic power. Quite simply a diver's dream world. Sharks, barracudas, ghost pipefish, rhinopias. Diving like you've never seen before. Culture like you'll never see again. Walls & drift dives,"muck" & "critters", macro & wide-angle, including plenty of shark photos to be had. 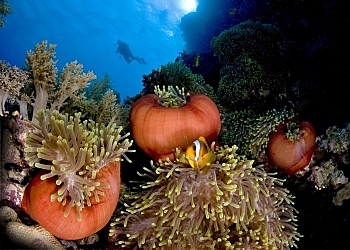 Immense bio-diversity makes this destination alluring for all serious divers. An underwater habitat as awesome as the cradles of ancient civilizations on land. 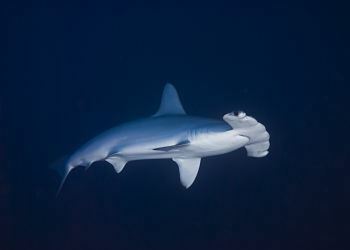 On your debut or your 1000th dive, the walls, wrecks, schools of hammerheads, fiery corals will enchant you. A veritable playground for mischievous sea lions. Home to whale sharks, dolphins, turtles, sting rays and schools of jacks. Warm weather, warm water, a true vacation land. Once in a lifetime diving. 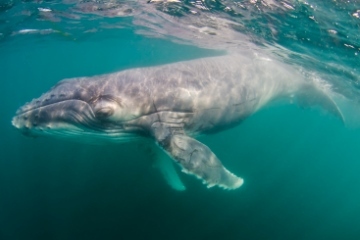 Maximum exposure to Pelagic Wonderland at Socorro: mantas, sharks, even the gentle humpback whales & their calves. Cage-diving with Great Whites at Guadalupe. Remote, mysterious islands with culture nearly unchanged through the centuries. 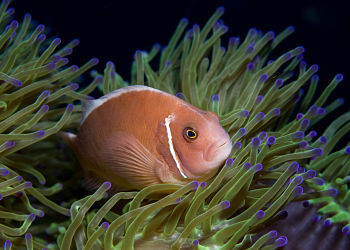 Underwater, a broad spectrum of images, macro to wide-angle, in the breathtakingly beautiful South Pacific. Cage-diving with Great Whites, encounters with tiger sharks, whale sharks & mantas. You'll find awe-inspiring predators on land and in the sea. After diving, why not add on wildlife safari? 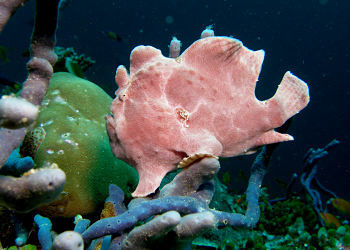 Rich, colorful corals in the Similan Islands, big animal attractions at Richelieu Rock, shark action at the Burma Banks. Divers return again & again for these plus a glimpse of Thai culture. Exotic. Mystical. Unforgettable. 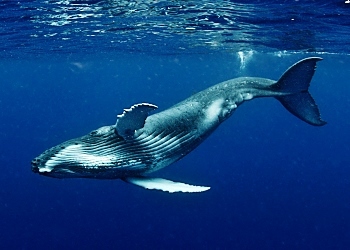 The humpback whales of Tonga, mammoth, powerful, graceful & serene. Revel in the interaction between mothers & calves, delight in the mating rituals of the adults. 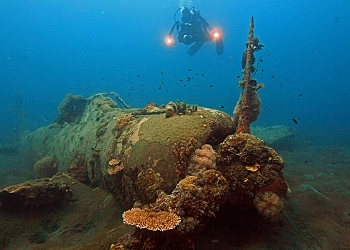 The planet's Ultimate Wreck Diving ? Probably the two destinations which meet this criteria are Truk Lagoon (in Chuuk State, Micronesia) and Bikini Atoll (in the Marshall Islands). Tropical islands, white sand beaches, clear waters. Add in the haunting wartime wreck of a luxury-liner-turned-troop carrier. Top it off with grottoes, overhangs, canyons & caves. An excellent mix.